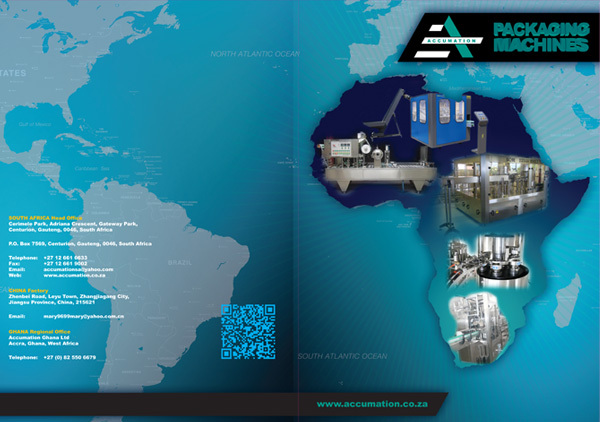 Accumation supplies packaging machines, and with a global reach, needed their new corporate folder to reflect this – while still representing its South African base. 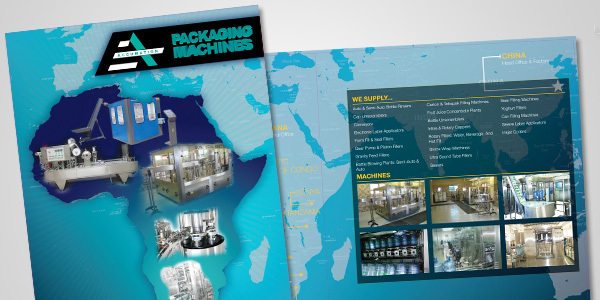 A good corporate folder is an extremely useful tool for your business - it elevates any quotes or other "normal" documents by wrapping them in a well-designed, colourful, and interesting package that will stand out on a client's desk, communicate your brand, and keep all the documents together. 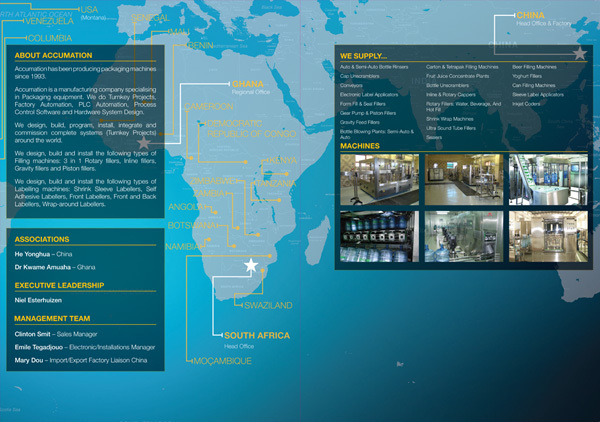 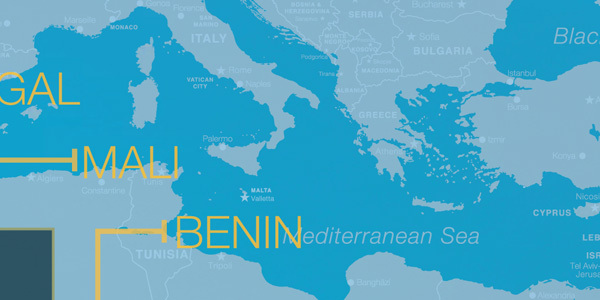 The background of the corporate folder serves as more than just a visual device - the richly detailed world map pinpoints the South African Head Office, the Regional Office in Ghana, and the Chinese Factory, as well as the various countries Accumation has supplied into.